"Google News is a computer-generated news site that aggregates headlines from news sources worldwide, groups similar stories together and displays them according to each reader's personalized interests." "Through a special agreement with more than 800 newspapers worldwide, the Newseum displays these front pages each day on its website. The front pages are in their original, unedited form, and some may contain material that is deemed objectionable to some visitors." Is Your Newsfeed Lying to You? 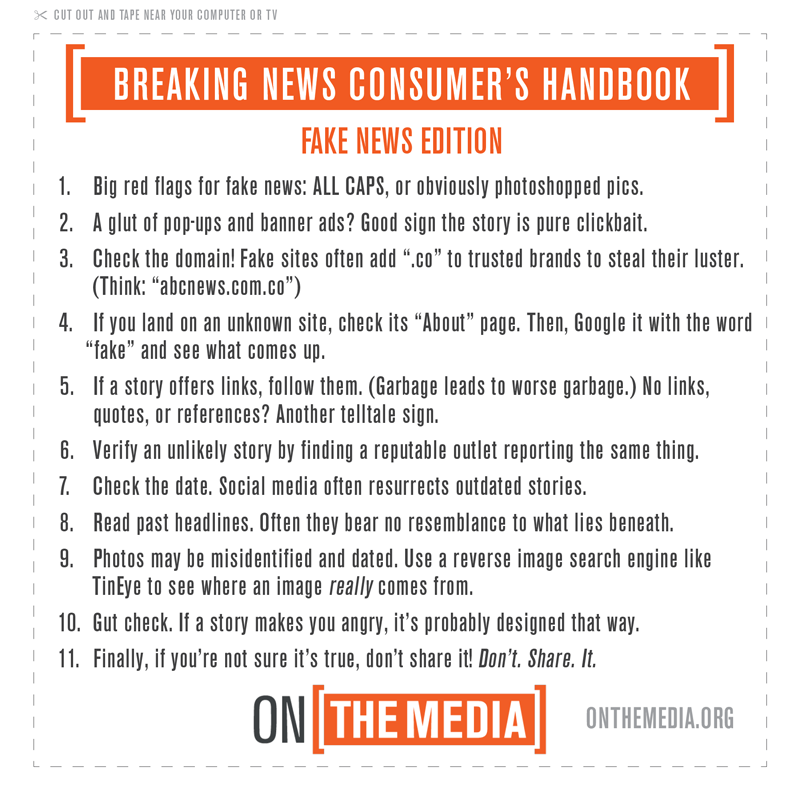 Toolkit for identifying false and misleading news using the Parkside library and other resources. "We are a nonpartisan, nonprofit “consumer advocate” for voters....We monitor the factual accuracy of what is said by major U.S. political players.... a project of the Annenberg Public Policy Center of the University of Pennsylvania." Pulitizer-prize winning website whose staff fact-check statements made by US politicians. Fact-checks and documents rumors, urban legends, news, and other information that spreads across the internet.. These sites evaluate the overall partisan bias of news sources in all media as a whole (e.g. The New York Times, CNN, Slate.com). Look for the same source in all three sites to see how they compare. Home of the Media Bias Chart. Developed by attorney Vanessa Otero to systematically evaluate the partisan bias and overall quality of selected news sites. All Sides gathers news articles from a wide range of sources and identifies their bias. Compare how different publications report the same news. Rates the bias level of 800+ news sources using detailed methodology. Look at sources in different bias categories, or search for a source to see its bias rating.